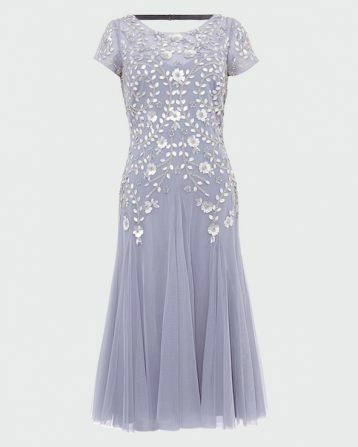 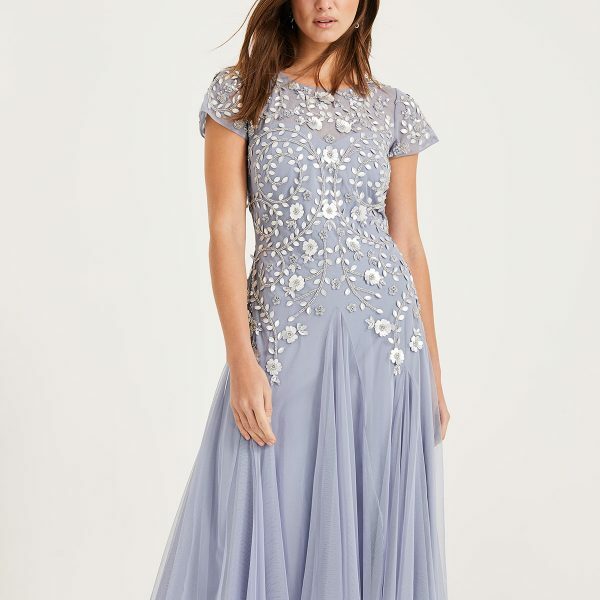 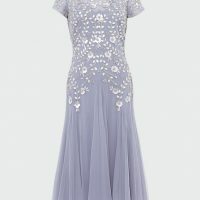 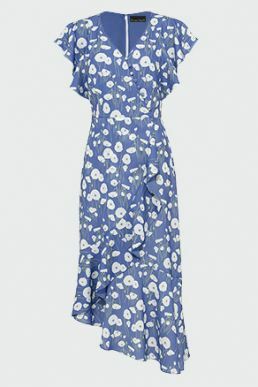 With beautiful appeal, the beautiful lavender Celia Sequin Tulle Dress from Phase Eight features a round neckline, a cinched in waist and mermaid tulle silhouette. 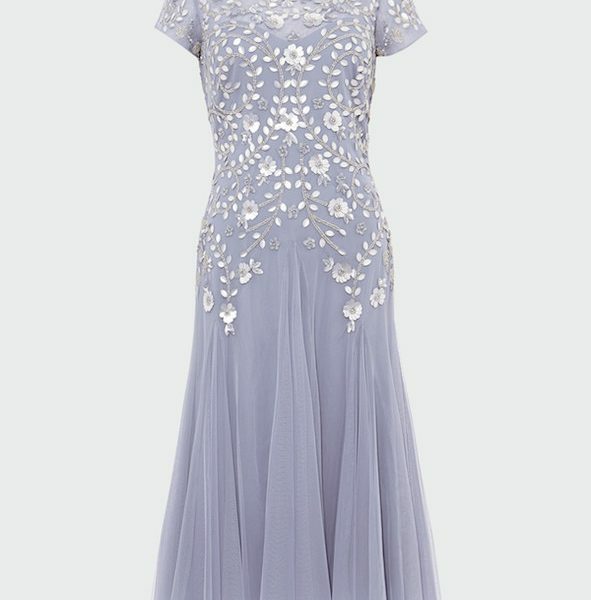 The stunning signature embellishment and shape add a flattering touch. 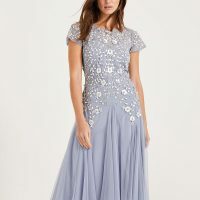 This piece is perfect for a wedding guest or bridesmaid this season, team with heels and a slim clutch for ultimate elegance.